Professional sound, style and control that stands on its own. Augment your drum or percussion setup with the PerformancePad Pro, or play it on its own. This eight-pad multi-percussion instrument features over 500 sounds and a three-part sequencer so you can play live, create loops and sequences, accompany yourself, and add texture to the band or musical group. With eight velocity-sensitive drum pads, kick and hi-hat inputs and over 500 multi-sampled Dynamic Articulation™ sounds, the PerformancePad Pro is an all-in-one drum station. It even has inputs for kick and hi-hat triggers. 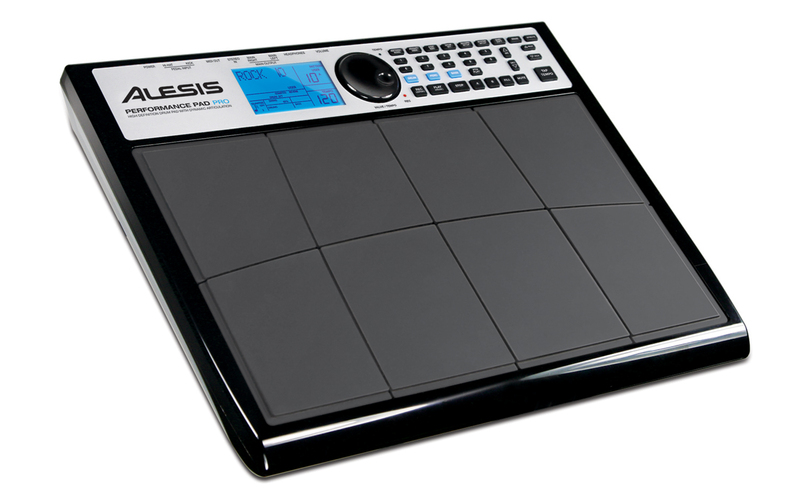 The PerformancePad Pro contains the sequencing engine from Alesis’ best-selling drum machines. This three-part sequencer enables you to program drum, percussion, and accompaniment parts for creating complete tracks or playing along with loops. The PerformancePad Pro features a modern, high-definition sound set with acoustic and electronic drums, percussion, sound effects, bass and more. 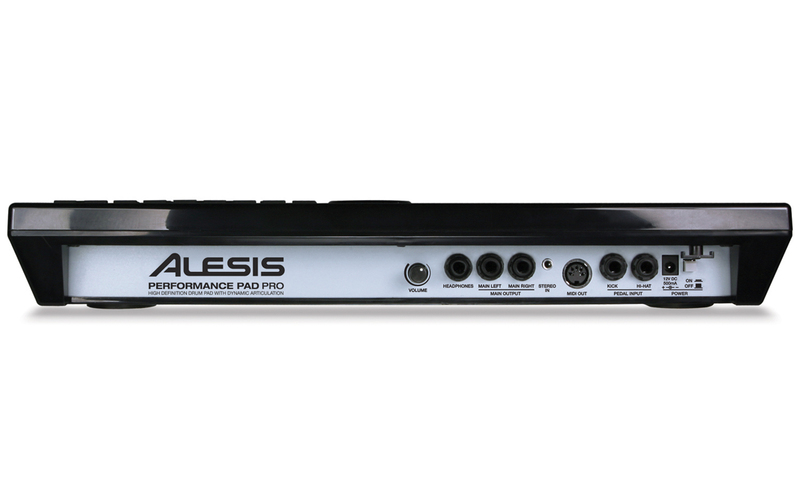 The PerformancePad Pro also contains powerful Alesis studio effects including Reverb, EQ and Compression for customizing sounds to perfection. You can also use the PerformancePad Pro as a MIDI controller for playing virtually any sound module, synth or software. Plus, you can connect and mix in a music source via the PerformancePad Pro’s input. 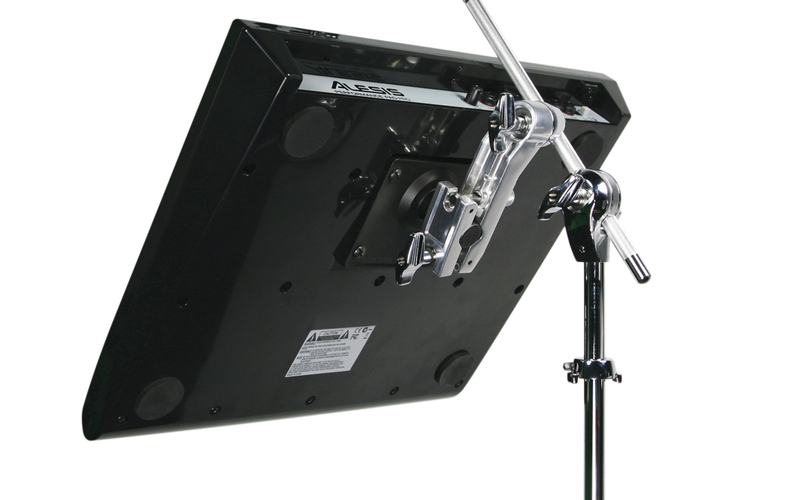 You can mount the PerformancePad Pro on stands and racks using the Module Mount (sold separately), place it on most snare stands, or play it tabletop in a percussion, production, or DJ setup. 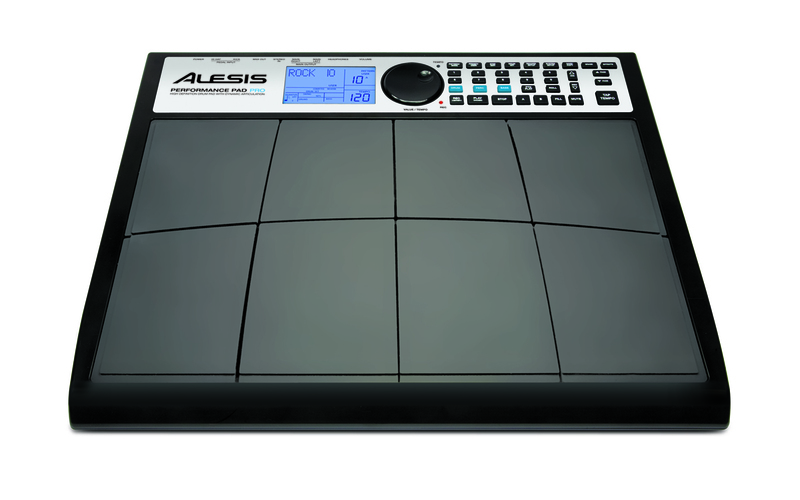 With tons of sounds, powerful sequencing, and classic Alesis effects, the PerformancePad Pro will help you turn tracks into hits.